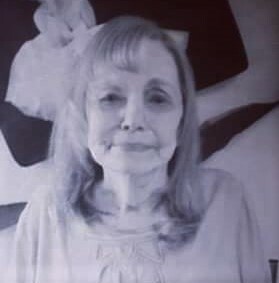 Bernice Cruse, 88, of Columbus, GA passed away on Saturday, November 17, 2018 at her home in Columbus, GA. A funeral service will be held at Vance-Brooks Funeral Home, 4048 Macon Road, Columbus, GA on Friday, November 23, 2018 beginning at 10:00 a.m. (EST) with Reverend Allison Owen officiating. Visitation will be one hour prior to the service. The interment will conclude at the Main Post Cemetery in Ft. Benning. Bernice was born on November 12, 1930 in Ft. Benning, GA to the late Logan and Ida Mae Duff. She was a dedicated military spouse of Command Sargent Major Leonard E. Cruse, U.S. Army, who was a three-war veteran. Bernice and Leonard were married for 30 years and lived in several places including Japan and Germany. Bernice was a mystic and a member of the Rosicrucian Order of the Rosy Cross. She was a talented club artist for the local chapter of the American Business Women’s Association. Her love of all things creative will live on forever through her descendants. Other than her parents, Bernice is preceded in death by her husband, Leonard E. Cruse; brothers, Thomas Duff and James Duff; and sister, Peggy Duff Simmons. Survivors include her daughters, Penelope Ludlow and Adith Thomas; one sister, Margaret Goodroe (Donald); grandchildren, Keith Patton (Jacqueline), Paris Mulgrew, Pavielle Ludlow, Thea Bennett (Christopher), Lena deLoache (Shawn); great-grandchildren, Vincent Bennett, Gabbrielle Mills (Anthony), Trevor Patton, Felicity Bennett, Lillian Bennett, Thomas Mulgrew, Cali Mulgrew; great-great-granchildren, Edward Mills, Elijah Patton; and beloved great-nephew, Adam Page Meredith. Flowers will be accepted or those choosing may make a contribution to Columbus Hospice or an organization of their choice.